Activity has been spotted around the village recently as volunteers begin to prepare Tattenhall for the Best Kept Village competition taking place over the summer. So far benches have been painted, fences mended and paths swept with the willing band of volunteers at the ready to look after the play areas, floral displays, bus stops, the Flacca and the War Memorial. However, there will always be areas in the village over which we have no control and therefore may not be presented in the best light. Fortunately the competition entry form allows us to identify any ‘problem’ areas but where possible we will still endeavour to make improvements. If you can help on any of these dates please meet on the Park Play area. All equipment and refreshments will be provided. The beginning of June will also see the launch of Tattenhall’s inaugural Squirrel Trail. Many businesses, organisation and families throughout the village have already registered their interest but there is still plenty of time to get involved, just email the Clerk to the Parish Council – tattenhallpc@outlook.com for an application form. Costs are £10 for individuals and families, £20 for businesses and free to community groups. If you have recently witnessed the Clerk to the Parish Council carrying a four foot squirrel with her around Tattenhall this why! 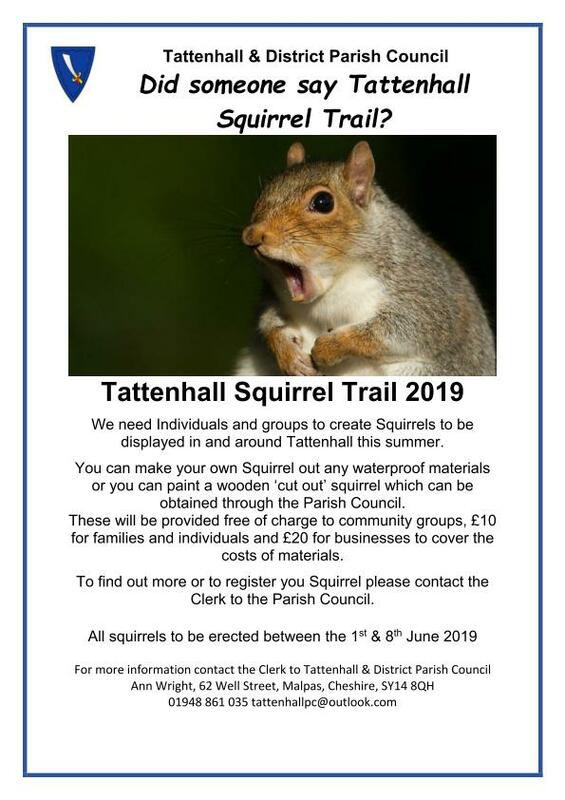 Tattenhall and District Parish Council are launching Tattenhall’s first ever Squirrel Trail. We are looking for individuals, families, community groups and businesses to create a squirrel which will be displayed in and around the village this summer. 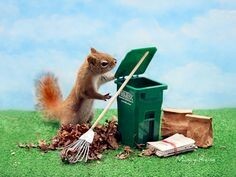 You can make your own squirrel or obtain a wooden cut out squirrel from the Council ready for decorating. These Squirrels are free to community groups, £10 to individuals and families and £20 to businesses. All Squirrels must be registered with the Parish Council and will be included in a trail leaflet which will be sold in aide of the Air Ambulance. To obtain a registration form please click here. The minutes of the Community Land Trust (CLT) meeting on the 7th March 2019 have just been published on the Council’s website. 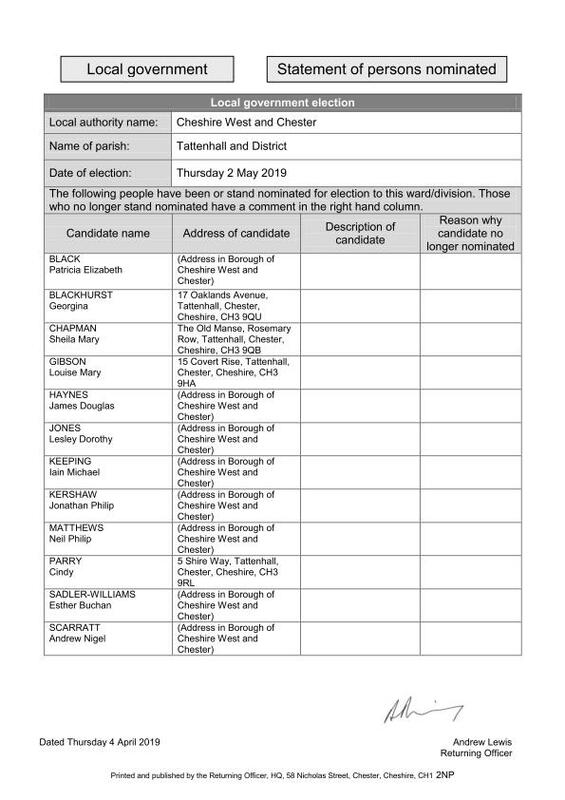 CW&C have just published the statement of Persons Nominated, which is the list of people who have submitted nomination forms to stand for Tattenhall & District Parish Council. 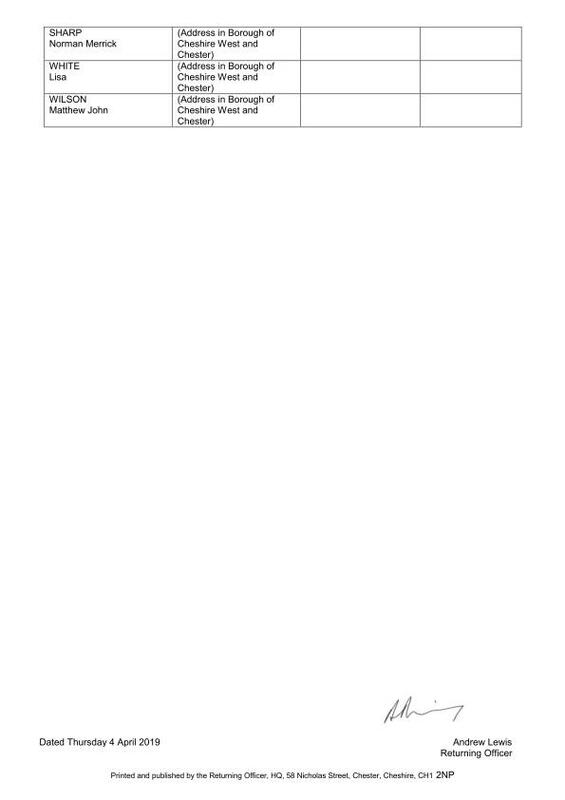 As you will see 15 people have stood for election and as we have 15 seats on the Parish Council all will be ‘elected’ to the Parish Council via an ‘Uncontested Election’ and will take their seats on the Council in May.